Make yourself at home in one of the 49 guestrooms, featuring kitchenettes. Conveniences include blackout drapes/curtains, housekeeping is provided daily, and irons/ironing boards can be requested. Pamper yourself with a visit to the spa, which offers massages and facials. You're sure to appreciate the recreational amenities, which include 2 outdoor swimming pools and an outdoor tennis court. Additional features at this resort include complimentary wireless Internet access, concierge services, and an arcade/game room. Guests can catch a ride to nearby destinations on the complimentary area shuttle. Make yourself at home in one of the 34 air-conditioned guestrooms. Rooms have private balconies or patios. Complimentary wireless Internet access keeps you connected, and cable programming is available for your entertainment. Bathrooms have showers and hair dryers. 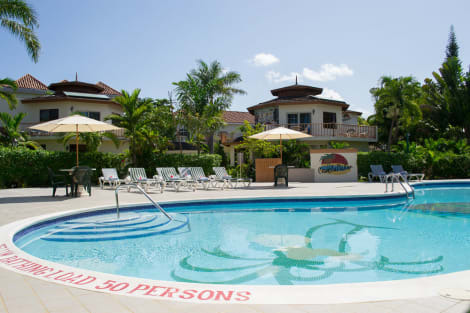 With a stay at Mirage Resort - Clothing Optional - Adults Only in Negril (West End), you'll be a 2-minute drive from Negril Lighthouse and 7 minutes from Seven Mile Beach. This bed & breakfast is 7 mi (11.3 km) from Bloody Bay and 7.3 mi (11.7 km) from Bloody Bay Beach.